Get ready for a massive update to the popular Linux operating system Ubuntu. It has been six months since Canonical (the organization that releases the latest Ubuntu versions) served us the Ubuntu 13.10 (code named Saucy Salamander) and now we have the much improved Ubuntu 14.04 LTS (code named Trusty Tahr). This is the next major release after Ubuntu 12.10 because it includes LTS (Long Term Support). Canonical provides only nine months of support for non-LTS versions of Ubuntu e.g. the previous Ubuntu 13.10 will only get support for three more months. However this release of Ubuntu 14.04 LTS will get the support and security updates for a whole 5 years. A lot of companies will opt for it, be it software organization or hardware vendors because they know they are good for the next five years. They can make policies and decisions of their software around this support. The previous Ubuntu version that offered LTS was Ubuntu 12.10 and many organizations did not update to recent versions of Ubuntu because of fear of losing LTS. Enough of companies and their policies, the real changes in this version of Ubuntu are detailed below. Support for any product by the company who produced it is a very valuable thing. We saw how Microsoft supported its Windows XP for about a decade by releasing updates and continuing its customer support until recently they decided to finally end it for Windows XP. 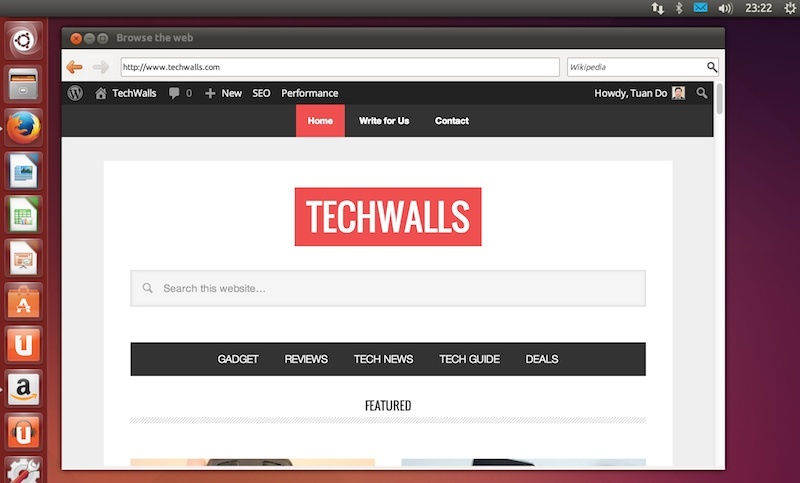 It’s been really long since I’ve used ubuntu and I’m glad it has got awesome feature. Soon I’m gonna use ubuntu to check new features.